I thought the outgoing Prius was decent-looking, so it's unfortunate to see it take such a big step back. Really unfortunate-looking. True. Although dull, the current version at least looked decent. This is a significant step backwards and is a design disaster, particularly the back half which is all kinds of wrong. Given how awful this turned out, it would have been better that they stuck with dull. Interestingly, the base model still has a Nickel-Metal Hydride battery and gets barely better mileage than the current Prius. However, you can add the Lithium Ion battery as part of an Eco package and get 58/53/56 (city/hwy/combined) and still pay less than $25,000. However, the pictures prove that the ugliness is strong with this one. The shape is still not growing on me. The Prius has never been about frugality and always about being "greener than thou" and having people know it. I'd much rather have a Fusion Energi. Last edited by haji; 12-09-2015 at 06:15 AM. This car definitely needs darker colours. 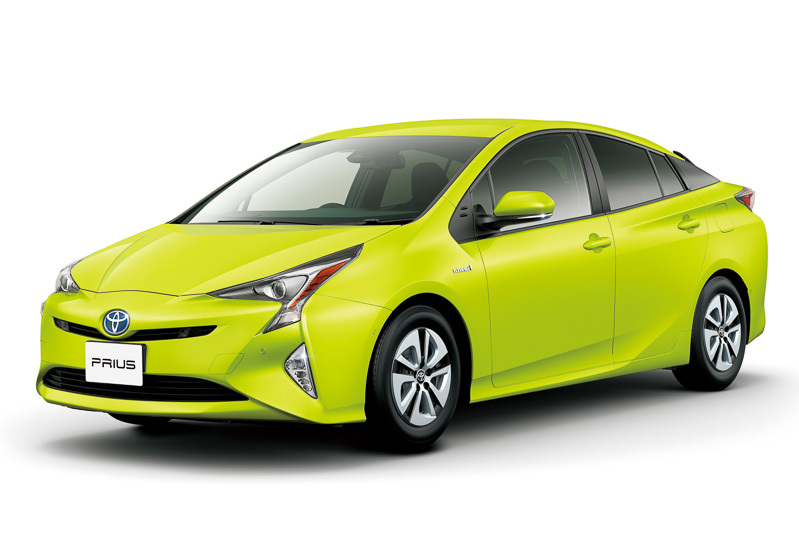 I love how Toyota is doubling-down on the ugliness of this design. The ugly appeals to their greener-than-thou clientele.